South West London Health Partnerships and Fulcrum achieved Financial Close on the Nelson Local Care Centre (LCC) on 27th March 2013. 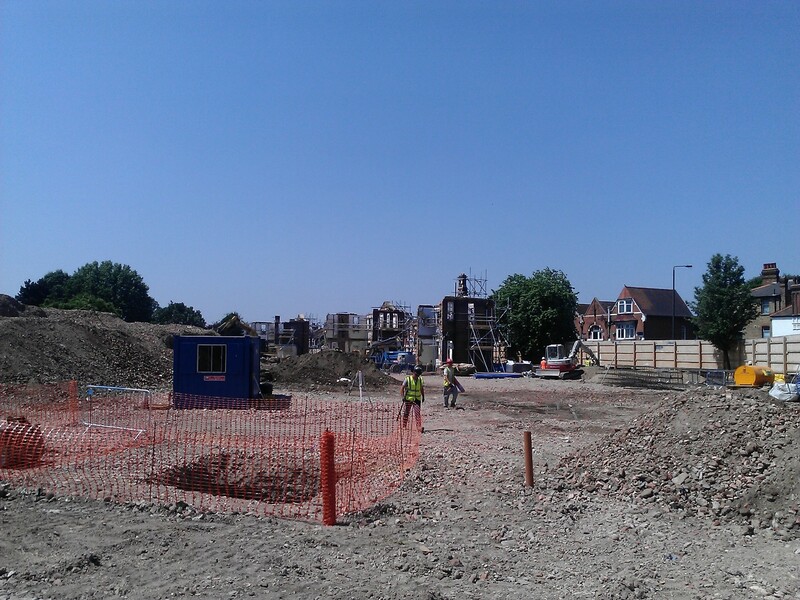 Since then our construction partner, Rydon Construction, have been on site carrying out the demolition works. To date, the site hoardings have been erected and the building has been demolished, with the exception of the three original pavilions. The pavilions are to be kept, based on public consultation, and have been temporarily supported to ensure their structural integrity. During the demolition process all the memorial plaques have either been removed or protected and will be part of the new building. Throughout the past three months Rydon have recycled as much of the old building as possible. The existing metal pipes & radiators and timber beams were separated from the general waste and recycled. Rydon also brought in a crusher to crush the concrete foundations and floors as well as the brick walls. Some of this material will be used on site which will minimise the amount waste that will need to be taken off site and disposed. An open evening for local residents took place on the 18th June at St. Mary’s Hall in Wimbledon. Site works, progress and site ecology were discussed. At present, the project is on target to complete in January 2015 and during the next few months the ground works, i.e. foundations and drainage, will be commencing.